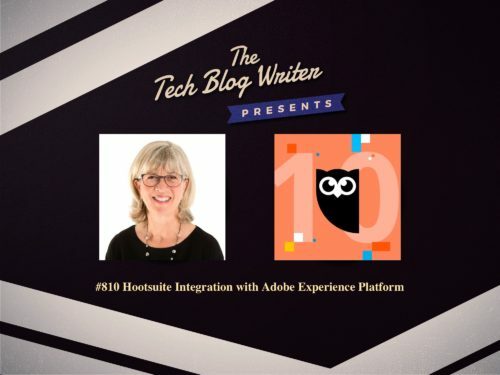 At this year’s Adobe Summit, Hootsuite announced an upcoming integration with Adobe Experience Platform. Developed collaboratively with Adobe, this first-of-its-kind integration will bring insights from social activity to Adobe’s Real-Time Customer Profile, enabling Adobe customers to deliver omnichannel marketing initiatives informed by their customers’ social media behavior. Once live, it will deliver six integrated Adobe solutions, further cementing Hootsuite as Adobe’s preferred social media management partner. “With social becoming one of the highest performing customer engagement channels, organizations are looking to better understand the impact of their social strategy on their broader business and marketing objectives,” said Penny Wilson, CMO of Hootsuite. While at this year’s Adobe Summit, I caught up with Penny Wilson to find out more. I also wanted to learn wanted to l battle-tested technology, extensive ecosystem, and social DNA to help organizations create human connections at scale.